Solar connectors are a largely obsolete electrical connector used to connect solar panels together in series to form strings. Backed by modern amenities, we are engaged in offering MC4 T Branch Connector. The offered range of connector is rigorously inspected on predefined parameters to make sure their perfections and trouble-free operation at clients end. 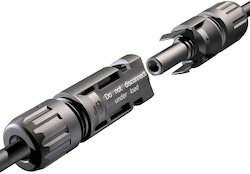 In addition to this, we offer these connectors to our respectable customers at industry leading prices in variegated specifications. Being a client-centric firm, we are engaged in offering Solar Connector and other connectors based on the client's requirement. 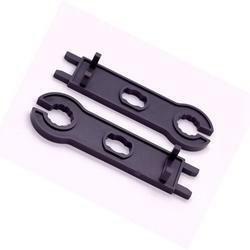 Our offered connectors are used to connect multiple solar panels or groups of solar panels together in a solar array. They are typically used in parallel circuits. The entire range of connectors is available with us in various specifications. We are engaged in presenting an extensive range of MC4 Y Branch Connector to our clients. 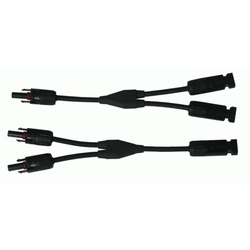 These products are mainly used for charging or transferring current to another device. Apart from this, these offered Y connectors are made available in different dimensions and can also be customized as per the requirements of our clients. With the help of professional vendors, our entity is accomplished to provide a wide range of MC4 Fuse Connector in varied specifications. 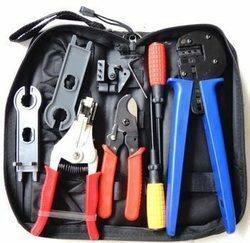 We are engaged in offering MC4 Wrench Connector to our clients. This product is used for connecting photovoltaic panels. Our offered connector is a single-contact connector commonly used for connecting photovoltaic panels. It incorporates a flexible watertight seal and is supplied as Sets of 'male' and 'female' type. With the help of professional vendors, our entity is accomplished to provide a wide range of Solar Tool Kit in varied specifications.